QAM (Quadrature Amplitude Modulation) is widely used in physical digital communication systems, such as WiFi enabled devices, etc. Generally, a square constellation of QAM is preferred, that is because these schemes are easy to Modulate and Demodulate. 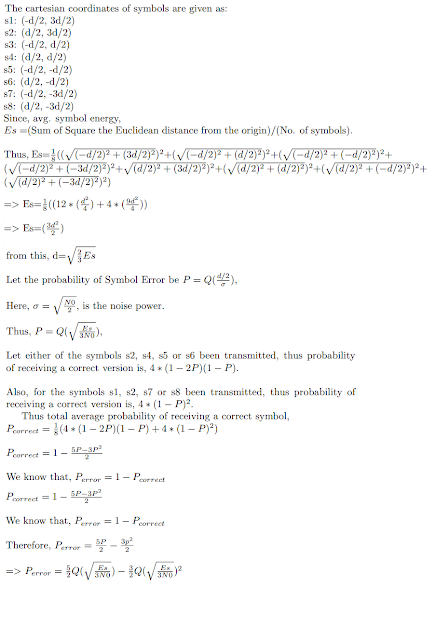 Any QAM constellation can be considered as a combination PAMs, i.e., both square and rectangular QAM can be thought as a combination of PAMs. 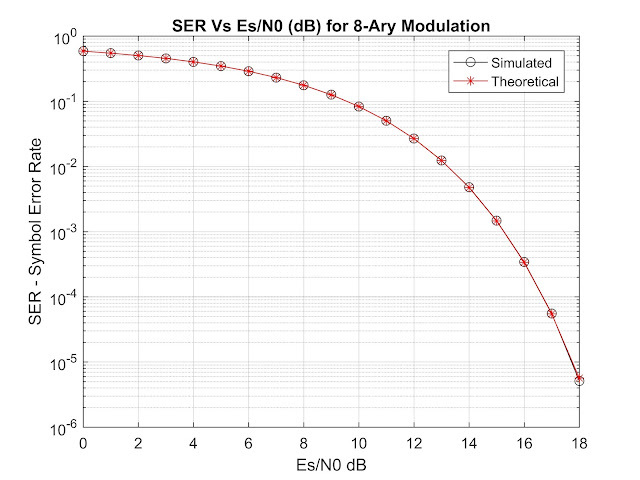 According to a study, End-to-End Energy Modeling and Analysis of Long-Haul Coherent Transmission Systems, the error-rate performance of 8-QAM is close to that of 16-QAM (only about 0.5 dB better), but its data rate is only three-quarters that of 16-QAM. 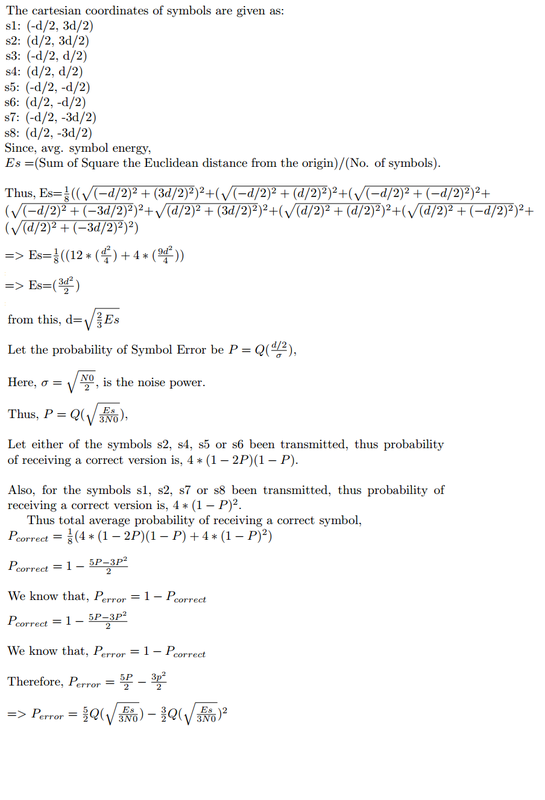 These effects can be seen in the code below, by further extending it to compare with other modulation scheme's BER. 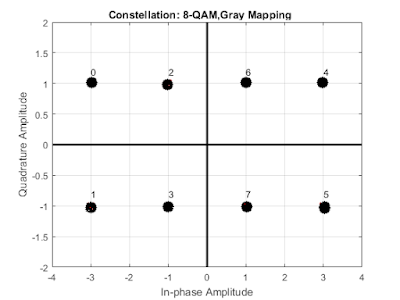 The constellation of the 8-QAM (considering gray mapping) in our scheme looks like. Same result of BER/SER will be obtained if the constellation is 90 Degree rotated about the origin (In the code I have done that). 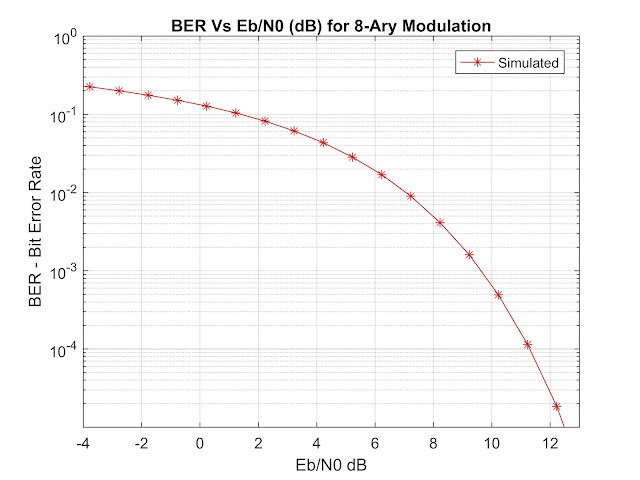 Now in the MATLAB code (below-bolded) of 8-QAM I have simulated BER and SER curve. Additionally Constellation is also plotted.